The Level 1 ski instructor certification is for any competent parallel skier, aged 15 years or older, and seeking to work as a ski instructor. The Level 1 candidate can expect to be exposed to a variety of terrain, snow conditions and terrain features. The 3 day level 1 course is an introduction to ski teaching, CSIA technique and methodology, and the role of ski teaching within the ski industry. It combines the basics of practical ski teaching methods, technical understanding and development of guest service skills, specifically addressing children’s skiing. You should take this course if you love to snowboard, and have a desire to introduce new students to snowboarding. You should be confident and comfortable both communicating and demonstrating in front of a group, as well as have strong intermediate snowboarding skills. This 3-day course will introduce you to the fundamentals of snowboard technique and teaching. QuickRide Update Sessions: Get the latest tips and tricks on beginner teaching methods, using the QuickRide System, and some general riding improvement training. Duration: 2.5 hours. Note: Pre-registration is required for all sessions. Use the “Schedule” tab above to find and register for a session near you. Please ensure you register before the deadline to ensure these sessions run. You should take this course if you are a Level 1 instructor with a love of freestyle snowboarding. You should have a desire to introduce new students to snowboarding in the park safely and successfully. You should also be confident and comfortable both communicating and demonstrating in front of a group. Spend time working as an instructor, honing your presentation and class management skills. Take a session with a current CASI Park Level 1 Evaluator to get feedback on your riding ability in relation to the technical standard. You may also take the Park 1 course as a non-testing participant. Participate in the course and improve your teaching and riding skills without participating in the exams. Non-testing participants will not receive the Park 1 certification but at the completion of the course will receive a certificate of participation. Able to demonstrate comfortable and safe riding skills on intermediate terrain, as well as basic terrain park features. The CASI Park Instructor certification course is open to members with a minimum Level 1 Instructor Certification. Candidates on the course will spend time exploring snowboarding technique and teaching methods as they relate to introductory terrain park and freestyle snowboarding. The Park Instructor course is an introductory course, designed to give successful candidates the skills necessary to introduce students to the terrain park and freestyle snowboarding safely. Progression-based teaching methods, understanding of basic freestyle techniques, as well as lesson planning and effective communication skills will be addressed. Candidates will receive coaching on their snowboarding, as well as feedback on their teaching skills, with the goal of reaching the Park Instructor standard in both of these areas. They will also receive suggestions and strategies for long-term development. The successful candidate is certified to take students into freestyle terrain, and teach introductory / basic manoeuvres on beginner terrain park features. 2 days totalling a minimum of 12 hours (including evaluations). Taught by women for women – develop your skills, build confidence & meet new friends in this social setting. Get ready to have a great time. We’re pleased to have our neighbors from across the road, Bent Ridge Winery, as our program sponsor! This program is the perfect balance of fun, social and skill development. The Women’s RIP will develop your skills to ride wherever you ride or want to ride. Our experienced instructors will show you a great time and our partner Burton Snowboards provides great swag at the end of the season social. We’re pleased to have our neighbors from across the road, Bent Ridge Winery, as a program sponsor! 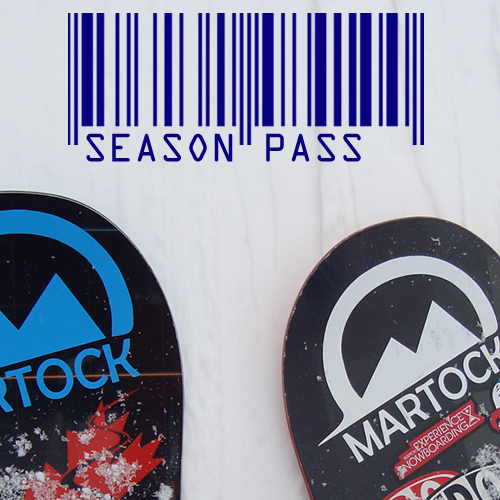 Provides higher-end coaching for snowboarders interested in competing or just becoming better riders. Coach Greg K has made the Superfriends a Martock institution. Fun, skill development and a focus on going fast have made this program perfect prep for regional, provincial, national parallel slalom and/or snowboard cross racing and beyond. A fun, social program that develops skill and confidence. 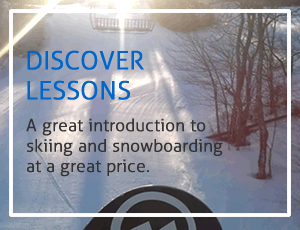 Perfect for parents with children in any of our morning ski and snowboard programs and any other adult wanting to improve in a relaxed atmosphere. Ages 18 & up – Novice to Intermediate Skiers.